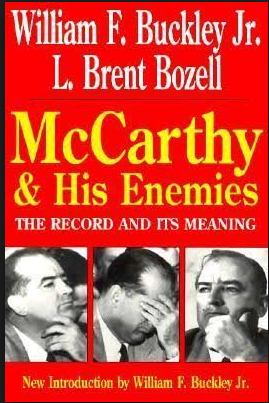 The second of this series is devoted to McCarthy and His Enemies by William Buckley and L. Brent Bozell, published by the Henry Regnery Company in 1954. The hearings McCarthy held remain one of the most fascinating dramas of the last century. In his prologue William Schlamm makes it clear that Buckley and Bozell are not neutral: They are on the side of McCarthy. In their opinion, McCarthy has been demonized by his opponents but the physical record does not support this demonization. Schlamm argues the sophisticated elites are the ones guilty of sweeping and unsupported generalizations not McCarthy as they so often charge. He contrasts McCarthy who, like an adult, wanted to hold people accountable for their choices against the elites who held the psychotic viewpoint that ones choices in life are unimportant no matter how indefensible. What the elites posit as an brief act of intellectual indiscretion was instead a serious betrayal of the very foundations of our civilization. Schlamm likens the reaction of the elites to McCarthy to those of psychopaths with a psychopathic etiquette which is to never question any of their sweeping over generalizations. This elite is protect by "certified" writers who turn on anyone dare step over the line, like McCarthy, whom they accuse of the thing they are most guilty of, making sweeping generalizations against their opponents. People who don't get your sarcasm might just be psychopaths, a new study suggests. A new study on children reveals that empathy is crucial for understanding irony. Researchers found that the children with better empathy skills have an easier time recognizing sarcasm. Schlamm faults McCarthy for the overemphasis that he placed on beliefs influencing actions. McCarthy does not recognize that most people are including leftists are willing to prostitute their beliefs for the sake of earning a living. Schlamm makes it clear that, while the crudeness often exhibited by McCarthy was deplorable, it does not excuse the actions of those he accused. Further, he makes it clear that demagogory is a common political practice and one used by both sides of the argument. Roosevelt's Warrior: Harold L. Ickes and the New Deal. Ickes was irascible and short-tempered. Hungry for power and jealous of his rivals' successes, he was sometimes duplicitous and mean-spirited. Despite being an outspoken champion of civil liberties, he requested wiretaps on Department of Interior employees. Ickes seduced his adopted daughter, physically abused his first wife, and bilked his stepsons out of their inheritance. As rumors of his infidelity circulated around Washington, "Honest Harold" conducted a number of extramarital affairs and , after telling his wife about them, provided sinecures to one of his paramours and his fiancee. He found some measure of domestic peace only after the death of his first wife and his subsequent marriage to his stepson's sister-in-law, a women forty years his junior. A certain sacred tree was forbidden to the touch, save only for runaway slaves: if the slave could break off a branch — The Golden Bough — he could challenge the tree's attendant priest to mortal combat. If victorious, the slave would replace the priest as King of the Woods — until his lethal defeat by another bearer of The Golden Bough. 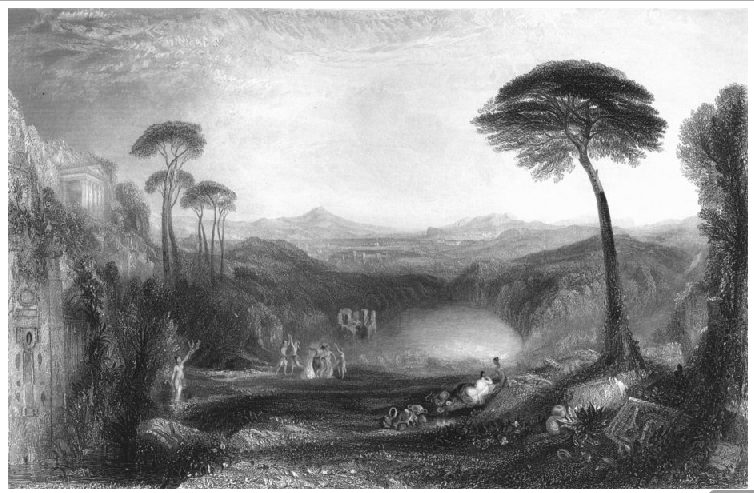 Sir James George Frazer, an expert in myth and religion, was so intrigued by this tale from classical mythology that he spent more than a quarter-century investigating its genesis. His 1890 study of the cults, rites, and myths of antiquity, The Golden Bough, offers a monumental exploration of these customs and their parallels with early Christianity. A pioneer of social anthropology, Frazer's definitions of such terms as "magic," "religion," and "science" proved highly useful to his successors in the field, and his explications of the ancient legends profoundly influenced generations of prominent psychologists, writers, and poets. This abridgment of his multivolume magnum opus omits footnotes and occasionally condenses text; nevertheless, as the author himself observed, all of the original work's main principles remain intact, along with ample illustrative examples.